This week is the fourth annual Kazaamukkah. During Kazaamukkah, a friend and I watch the 1996 film Kazaam for eight straight nights in a row. 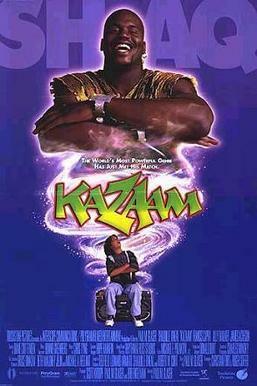 If you're wondering what Kazaam is, it's this movie. 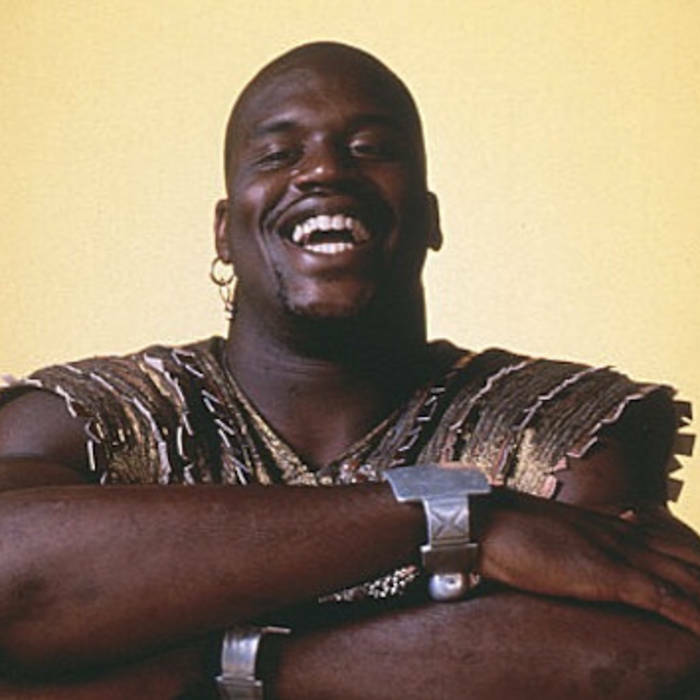 The movie stars Shaq as a rapping genie who lives in a boombox until a young boy named Max awakens him. There are also a subplot where Shaq raps with Salt-n-Pepa and Max's father gets involved in a cassette tape piracy scheme. There is also this scene. While this is normally the kind of film you see once or twice for laughs, at the time of this posting I have seen the film 28 times and will have seen it 32 times by Monday night. Being that this is the first film I've watched that many of times in that short a span of time, I've started to notice a few things when you watch a film that many times. 1. I don't have the film memorized. When I first started watching Kazaam I had assumed that by the 16th or so time seeing the movie I would more or less have most of the film memorized. This however is not the case. In fact I'll often forget large portions of the movie. I still don't have the minute long rap "We Genie" memorized and would be unable to give you a complete summary of the movie. I feel like is probably do to the fact that the movie has so little actual content to it. Almost 30 viewings in and both friend and I cannot find any resemblance of a theme or real arc in this film. 2. An event like Kazaamukkah can't be done with just any film. I feel like it's the aforementioned lack of any substance that makes Kazaamukah so bearable. The event is only bearable because of how little impact the film actually leaves on you. Kazaam is far from my favorite film, which is exactly why it's perfect for such an event. If I were to do Kazaamukkah with any film I remotely liked, I would end up hating it. 3. Errors, Inconsistencies, and Hidden Gems Galore. -Identify what the father's job title is. -What does Asia Moon lend to the plot?